Whether you’re a busy executive, a business owner, a retiree, or a second-generation family member of our long-term clients, our goal is to earn your confidence not only through the quality of investment solutions we present to you, but also through the excellence with which we deliver them. Our Group has over 100 years of combined experience in the investment industry. We believe that working as a team not only provides you with access to a broad array of solutions, but it also helps to ensure that you will benefit from the highest levels of service. While each of our group members offers distinctive, but complementary skills and perspectives, we also share a commitment to responding to your investment needs promptly, professionally, and thoroughly. As your Financial Advisory Team we look to work with clients who want a relationship that is built on trust, understanding, steadfast guidance and unwavering commitment to your goals. Within our team dynamics we are able to offer our clients, from the busy executives to the retirees, a broad array of financial solutions to fit their goals. Our group has over 100 years of combined experience in the investment industry. While each group member offers distinct, but complementary skills and perspectives, we also share a commitment to responding to your investment needs promptly, professionally and thoroughly. With our experience in Investment Management, our team can help translate your objectives into strategies that make sense for you. We offer you a perspective developed over multiple market cycles, a thorough understanding of asset allocation and risk management, and an ability to refine your strategy as your needs and the financial markets change. Helping preserve wealth and mitigate financial risk isn't just about knowing the numbers, it's about knowing you. 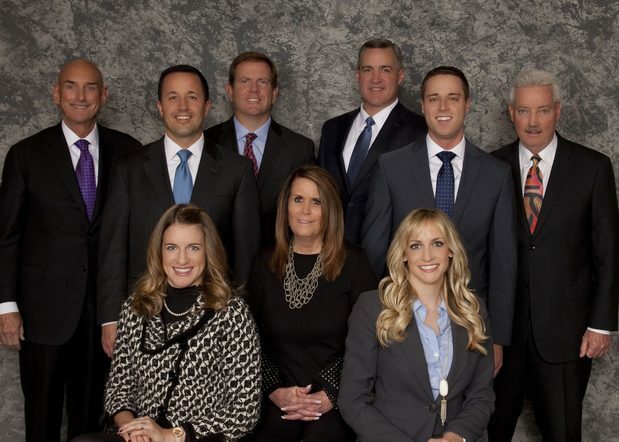 Each member of The Milestone Group is dedicated to providing unparalleled client services. We maintain a manageable number of client relationships and offer advice that extends far beyond investing to encompass both sides of your personal balance sheet, both assets and liability management, and every aspect of your finances. We know you have many choices when it comes to selecting a financial advisor. Our diverse, comprehensive and complementary backgrounds in investments, analysis, insurance and lending servies, coupled with our commitment to client service, have resulted in deeply rewarding, long-term relationships with our clients. We invite you to become one of them. We are committed to giving back! Each member of our team is actively involved our community. Some of the causes and/or charities that are near and dear to our team are: The American Heart Association, Lydia Home Association and Safe Families for Children, Dare to Be Different, Project 15:12 Love One Another, The Tad Agnew Foundation, and Junior Achievement. Senior Vice President Chris Agnew considers every client relationship to be unique and he takes great pride in his team’s ability to tailor investment portfolios to match each client’s individual needs. Chris believes in exceeding his clients’ expectations. His mission is to help them grow their personal and business interests into portfolios of wealth. He is passionate about helping people achieve their objectives, whether it be setting up their own retirement income plan or securing the educational future for a child or grandchild. Chris enjoys getting to know his clients and their families, building lasting relationships that extend beyond traditional office hours. He has robust fact finding meetings with his clients in order to uncover any blind spots that may exist regarding a client’s finances. His strong focus on client service means that the team’s clients experience a collaborative process—one that helps to maintain focus on the most important things in life. A native Iowan, Chris graduated from Iowa State University with a degree in Business Administration. After college, he was recruited into a management training program for a large retail corporation and spent eight years in management at a variety of retail and industrial companies. In 1981, he joined Merrill Lynch and for the last 36 years he has been applying his management and people skills to helping people build strong financial futures. Married for over forty years, Chris and his wife have two daughters and seven beautiful grandchildren. They established and are actively involved in a non-profit organization focused on melanoma research in honor of their late son Tad. Chris is deeply committed to his volunteer and outreach work in his church, The American Heart Association, and several other charitable organizations in the Quad Cities. 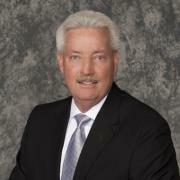 Marty has over 42 years of experience in financial services. 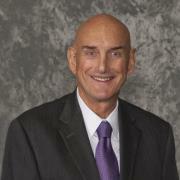 He began his career with MetLife in 1976 as a Sales Representative and was promoted to management a few years later. He began his career as a Financial Advisor in 1980 with Merrill Lynch, fulfilling a lifelong desire to enter the securities industry and provide clients with exceptional service and investment advice. Marty joined Morgan Stanley in January of 1984. With an extensive background in financial planning, Marty focuses on portfolio design, manager selection, risk management, and alternative investments. He also advises clients on distribution strategies for retirement income. Marty is a lifelong resident of the Quad Cities. He earned his Bachelor of Business Administration degree in Finance from The University of Iowa. He and his wife, Barb, are proud parents to their daughter, Andrea, who is an Occupational Therapist in Austin, TX and their son, Brennan, who has joined the Morgan Stanley team. Marty remains active in his community, volunteering for the United Way, River Bend Foodbank, and Junior Achievement. In his free time, he enjoys golf, fly fishing, travel and exercise. Darrell Henricksen, CFP®, CRPC, is a CERTIFIED FINANCIAL PLANNER with over 20 years of experience in the investment industry, Darrell works with clients on all aspects of financial planning, providing services that include fee-based financial planning, risk management, wealth accumulation and distribution strategies. After earning a Bachelor of Science degree in Finance from the University of Iowa, Darrell became a financial analyst with boutique investment bank, Kasten Group, in St. Louis. 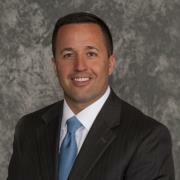 He moved back to Iowa in 1996, joining Merrill Lynch, and working with Chris Agnew as Financial Advisors. Gary Hewitt joined their group in 2006, and most recently Clint Allaman and they formed the strong team of Agnew Henricksen Hewitt Allaman & Associates. Darrell earned the designation of Chartered Retirement Planning Consultant (CRPC) in 2008, and completed the rigorous academic requirements to obtain the significant designation of CERTIFIED FINANCIAL PLANNERTM (CFP®) in 2012. The CFP® designation recognizes a combination of substantial practical financial planning experience, the completion of a comprehensive and educational program, and the demonstration of real-world applications of the core competencies. With his background in financial analysis, financial planning, and retirement planning, Darrell is able to provide individuals and families with a high level of custom financial solutions to help preserve and protect their assets. He keeps a watchful eye on today’s fast-paced markets, counseling his clients not to get caught up in the volatility and ensuring that their investment choices match their risk tolerances. His skills and experience help clients navigate through the maze of complex financial issues that are unique to retirement and life transitions. Married for over twenty years, Darrell and his wife, Susan, have three children. He is active in his church, providing congregational care by serving in multiple leadership roles. He and his wife Susan are very involved with Lydia Home Association and Safe Families for Children (SFFC), an organization which offers sanctuary to thousands of children, minimizing the risk for abuse or neglect and giving parents the time and tools they need to help their families thrive. Through SFFC, Darrell and his family open their home many times throughout the year to offer a safe haven to children. 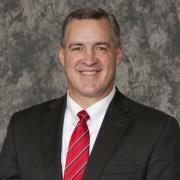 Gary Hewitt, CRPC, CLU, serves as a Financial Advisor and a Vice President with The Milestone Group. For 24 years, he has provided highly customized advice and investment solutions to high net worth individuals and families. Gary demonstrates a genuine concern for discovering client needs and then building globally diversified portfolios designed to help meet their unique objectives. After earning a Bachelor of Business degree in finance from Western Illinois University, Gary worked in a retail management position before beginning his career in Financial Services at John Deere Insurance in 1987. Following a 12-year career at regional investment firm Piper Jaffray, Gary joined Merrill Lynch in 2006 to work with Chris Agnew and Darrell Henricksen as Financial Advisors. While at John Deere, Gary earned the esteemed industry designation Certified Life Underwriter (CLU). Prior to joining Morgan Stanley in 2012, Gary also earned the designation of Chartered Retirement Planning Counselor (CRPC). He also holds Series 7, 8 and 63 licenses. Gary’s extensive experience allows him a distinct perspective to provide solutions to help meet current investment needs while also designing wealth accumulation and transfer strategies to help benefit future generations. Gary deeply values his client relationships, and he is passionate about listening to his clients’ needs. He strives to understand what’s most important to each of his clients and develops solutions to help them achieve their goals. Gary draws on past experience to help design personal pension plans for clients seeking lifetime income plans and formulating philanthropic strategies for clients who are charitably inclined. Married for over 30 years, Gary and his wife, Tammy, have two grown children. An avid sports fan, Gary most enjoys basketball, water and snow sports while also cheering for his beloved Chicago Cubs and Notre Dame Fighting Irish. He enjoys spending as much time as he can with his grandchildren. Gary is active in his church, and especially has a heart for the youth, having served in numerous youth leadership and mentoring roles. He has served as president of the Fellowship of Christian Athletes, currently serves on the board for Dare To Be Different marriage ministry, and is also very involved with Lydia Home Association and Safe Families for Children. 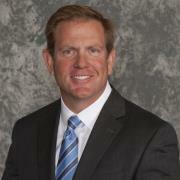 Clint Allaman is a Financial Advisor with The Milestone Group. He focuses on the development and implementation of investment strategies and retirement plans for active professionals, high net worth individuals and business owners. Clint earned a Bachelor of Science in Argonomy from Western Illinois University and a Master of Business Administration from St. Ambrose University. Prior to joining Morgan Stanley in 2012 he spent 15 years working in corporate business; the majority with John Deere. In 2015 Clint partnered with Chris Agnew, Darrell Henricksen and Gary Hewitt as Financial Advisors. Clint’s professional and educational experience, combine for a perspective that resonates well with active professionals and those tied to, or interested in, agriculture. He brings a new perspective to the team. Clint has been instrumental in bringing a new approach to financial planning to our clients. He has an in depth fact finding meeting with clients and uses a distinct strategy to gather the information needed to design an investment plan tailored to fit their goals. Clint utilizes this investment plan to help the clients navigate through the decision making process when it comes to their financial future. Clint and his wife, Chelsey, have three children and reside in Bettendorf, Iowa. He enjoys spending time with his family and outdoor activities. 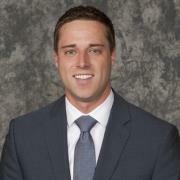 Brennan Hawley, CFP®, is a CERTIFIED FINANCIAL PLANNER™ with the Milestone Group. He has worked in the financial services industry since 2012. Prior to joining Morgan Stanley, he spent over three years working for the Federal Government. Brennan has a passion for helping others and strives to help individuals and families achieve their financial goals. His areas of concentration include portfolio design, tax-efficient investing, and comprehensive financial planning. Brennan earned his Bachelor of Business Administration degree in Finance from The University of Iowa. Upon graduation, he accepted a job with the Department of Defense where he filled multiple roles over several years. In an effort to build on his education, he returned to school where he earned an MBA with a concentration in Finance from The University of Iowa. He has been a financial advisor with Morgan Stanley since 2012. Having a desire to help clients with more complex financial planning cases, Brennan completed the rigorous academic requirements to obtain the designation of CERTIFIED FINANCIAL PLANNERTM (CFP®). The CFP® designation recognizes a combination of substantial practical financial planning experience, the completion of a comprehensive and highly specialized educational program, and the demonstration of real-world applications of the core competencies. Married for over six years, Brennan and his wife, Jaclyn, reside in Bettendorf, Iowa. The couple has two daughters, Emery and Sadie. In his free time, Brennan enjoys running, reading, traveling, and spending time with his family. He is a member of St. John Vianney Church, the Young Professionals of the Quad Cities, and is a classroom volunteer and Board Member for Junior Achievement. Amanda is a Financial Advisor with The Milestone Group at Morgan Stanley. Amanda takes a deep dive approach to understanding clients’ financial objectives. Her focus is on fully understanding clients’ needs, so she can provide customized, comprehensive financial solutions. Amanda has passion for helping others, so she is thrilled to be working in an industry where she can leverage her financial knowledge to help clients achieve their wealth planning goals. Amanda joined Morgan Stanley Wealth Management in 2016 and works in the downtown Des Moines office. 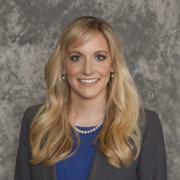 Prior to joining Morgan Stanley, Amanda worked as a Financial Analyst for John Deere for 7 years. She held various corporate finance roles in Kansas City, Moline, IL, and Johnston, IA, working with debt, derivatives, and insurance. 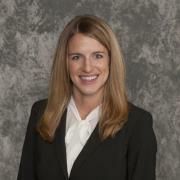 Amanda received a Finance degree from Wartburg College in 2009. She also received an MBA in Finance and Economics from the University of Chicago: Booth School of Business in 2014. Amanda moved to Ames, IA in 2014 when her husband, Justin, started working at Moorman Clothiers in downtown Ames. Justin and Amanda were married in 2009 and have a son, Jackson and a daughter, Allison. Amanda currently serves on The Ames Foundation Board, Wartburg College’s Leadership National Advisory Board, the Young Professionals of Ames Board, and on the Stewardship Committee for Ames Ascension Lutheran Church. Megan Delcourt is a Registered Associate with The Milestone Group. A native to the Quad Cities, Megan graduated from Washington University in St. Louis, Missouri with a Bachelor of Science degree in Business Administration. After graduation, she worked in Chicago as an operations and financial analyst at the Chicago Sun Times, and moved back to the Quad Cities in 2010 to take the position of a commercial credit analyst with Quad City Bank & Trust. In that capacity, Megan evaluated the financial health of businesses, examining their balance sheets and cash flow statements in order to underwrite business loans. She discovered that she preferred more customer-related interactions, so she obtained her securities license and began working as a registered sales assistant. In 2011, Megan joined the investment firm of Robert W. Baird & Co. to gain more direct investment experience, and was recruited to the team of Agnew Henricksen Hewitt Allaman & Associates, now the The Milestone Group, at Morgan Stanley in February 2014. As part of the team, Megan assists clients with a myriad of transactional needs that arise on a daily basis. She has a broad understanding of the complex compliance rules that surround investments, and is able to help clients navigate the paperwork involved with their portfolios. Megan enjoys connecting with clients. She extends to them the same kind of courtesies and level of personal care as if they were family. Outside of work, Megan continues her passion for volleyball that helped Washington University earn a national championship title during her freshman year. She plays in an adult league and has been the club coach for a traveling team over the past five years. Carol has been a Registered Associate at Morgan Stanley for 12 years and has worked in the Financial Services industry for more than 30 years. Prior to joining Morgan Stanley in 1996, Carol worked in the banking industry. She joined Morgan Stanley as a wire operator and cashier then became the Assistant Operations Manager before becoming a Registered Associate with Martin Hawley. 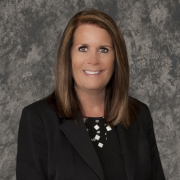 Carol focuses on providing the highest level of service for each client of The Milestone Group. She enjoys getting to know our clients and their families and building lasting relationships with them. Carol is a native of the Quad Cities she resides in Bettendorf, Iowa. She has four grown children and three grandchildren. Carol enjoys walking, running, participating in local races, traveling and spending time with her grandchildren. Ready to start a conversation? Contact The Milestone Group today.